Green hosting or eco-friendly hosting is internet hosting using green technologies to reduce environmental impact. Green web hosts are those web hosting providers that save energy as much as possible by using energy from renewable sources. The huge amount of energy used by data centers to keep your website up is usually produced from carbon emitting generators. (A carbon emitting generator is one that burns non-renewable fuels to generate electricity and gives out too much of carbon and other pollutants.) A green web host strives to minimize the energy consumption of their servers in the first place. A web server has to work non-stop round the year and it consumes a lot of energy in the process. The number of websites online is sky-rocketing every year and to power all these websites, more electricity becomes vital. Most of the conventional web hosts that you are familiar with probably consume electricity that is made from carbon emitting generators and this could take a toll on our planet. A web server on average produces more than 630 kg of CO2 and consumes 1,000 KWh of energy annually.A green host on the other hand, produces zero CO2. Studies show that by 2005 the web hosting industry used as much energy to power their servers as the equivalent of 14 major power plants. It is said that the amount of energy consumed by the US data centers is equivalent to that consumed by 5 million houses put together. Studies have shown that by the year 2020 that the web hosting industry will be as big of a polluter as the airline industry. Web hosts are one of the biggest energy consumers among the tech world and if they can be green, what can be better than that? 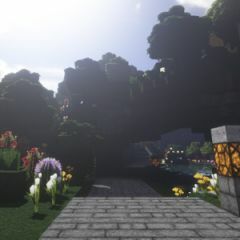 By using 100% solar and hydroelectric power, BetterinGame hosts a server, website and Teamspeak without causing harm to the planet we live in. Conservation of energy is becoming more and more essential and our server's owners are passionate about the preservation of our planet and its resources. If all of this energy is to come from conventional, non-renewable sources like burning of coals, gas fired furnaces and generators, obviously you as a responsible adult are not going to appreciate it. With the increased impact that servers have on our environment, we are doing our small part. We believe that individual websites could help to promote a more eco-friendly consciousness throughout the web. 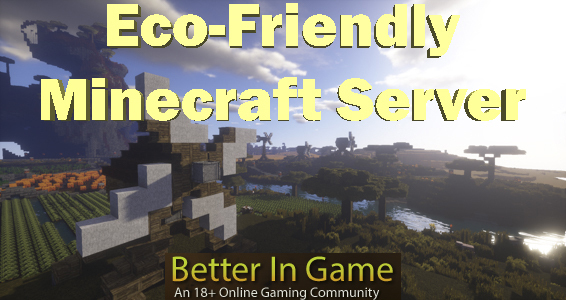 So, by playing Minecraft on BetterInGame, you are doing your bit towards saving our nature and preserving it for future generations.